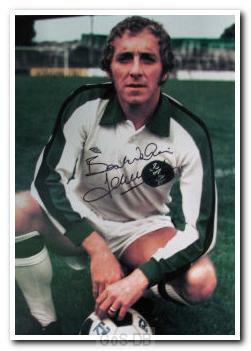 Johnny Hore was born in Foxhole, near St Austell, in 1947 and made his Argyle debut against Northampton in 1965. Along with his astonishing appearance record, Hore also created a small piece of Argyle history in 1965 when he became the first ever substitute for the Pilgrims, in a match against Charlton. 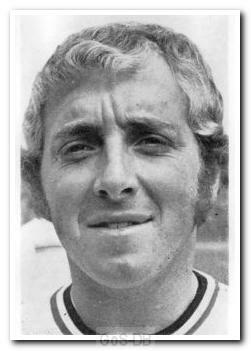 It was not long before Hore was given an extended run in the team, and he was appointed captain in the early 1970s. He was never spectacular, lacked pace, and goals were rare. Yet he would do the simple things well, often covering team-mates, nullifying attacks by solid tackling and then distributing short passes to retain possession. Loved by the fans, his terrace chant summed him up - he was indeed here, there and everywhere. 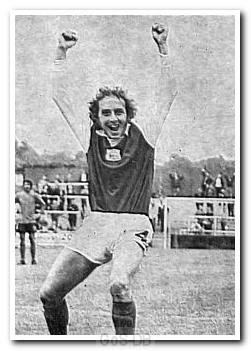 By March 1976, Hore was deemed surplus to requirements at Home Park. He joined Exeter City, and played 221 games for the Grecians. Hore was appointed Argyle manager in 1983 and, although his time in charge was short-lived, he led the club to the FA Cup Semi-Final in 1984. I started attending Home Park in 1967 and the one thing I did know was Johnny Hore would be on the pitch, giving it his all. The memories I have of him are him stinking of horse liniment at night games, his short shorts and those rugby boots, which if it was believed, had steel studs which he sharpened on the concrete before every game. The man was a Duracell Bunny before they had such a thing and the infamous song which the policemen tried their best to stop in the Devonport End was true; he was 'here', he was 'there' and he was 'every flipping where'. I can remember Johnny Hore and the late Jim Holton of Manchester Utd going for a 50/50 ball at Old Trafford in the FA Cup (the one where George Best didn't play, which got him the sack). They both went for it, they both went down, but only Mr Hore got up quickly. He was hewn out of Cornish granite and will never be forgotten by those that saw him don the Green of PAFC.